The start of April this year coincided with Easter holidays, followed by Pasquetta, the adorably-dubbed “little Easter” that refers to the Monday holiday after Easter Sunday making the weekend an even longer one (hallelujah). This meant that Nico and I have taken the week off to visit his family in France and we are reveling in the slower pace of life that visiting his home means. Walks along the Canal du Midi (240 kilometers from the Garonne to the Mediterranean), eating way too much cheese and generally just catching up with this parents. The season of agretti. Two monk’s beard recipes for you by Jul’s Kitchen. This is a hard read by Travels of Adam for those who wish to make it big travel blogging but in my opinion, it offers some very real truths about this industry. A lovely story on CNN Travel about a 79 year-old man who lives alone (by choice) on an Italian island. Looking for the perfect place to picnic this month? Check out my post on the best gardens in Florence. The cupola often crops up visually in different angles around the city and Too Much Tuscany shares her favorite spots to catch Brunelleschi’s wonder. This recipe by Turin Mamma for Italy Magazine is for one of my favorite Easter treats, “Pan di Ramerino” a lovely rosemary, raisin sweet bread that makes its home in Florence. While not exactly in the historical center, Pratolino park is one of the best green spaces in the vicinity of Florence and is well-worth a bus trip. The season opens on April 1st and will be open Friday, Saturday and Sunday until October 28th (10am-8pm). address: Strada Provinciale della Casa Al Vento · Vaglia. Take ATAF bus #25A from Piazza San Marco. Keep in mind that April 3rd, Tuesday, is the last day to visit Made in New York: Keith Haring, Paolo Buggiani and co. at Palazzo Medici Ricciardo featuring over 20 original works from a fascinating street art artistic movement that began in New York at the end of the seventies. Featured are artists Paolo Buggiani, a Tuscan artist born in 1933, along with Keith Haring and other artists. 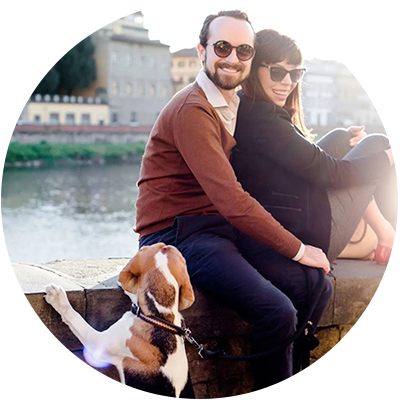 Looking to meet some interesting new people in Florence? I always personally enjoy the open-mic night at Tasso Hostel (via villiani 15) held the first Wednesday at every month. The April edition (the 32nd!) will take place on April 4th and is open to anyone who wants to share a song, a story or basically anything they’d like to present! Check out the info here. Holland in Florence? Apparently so! 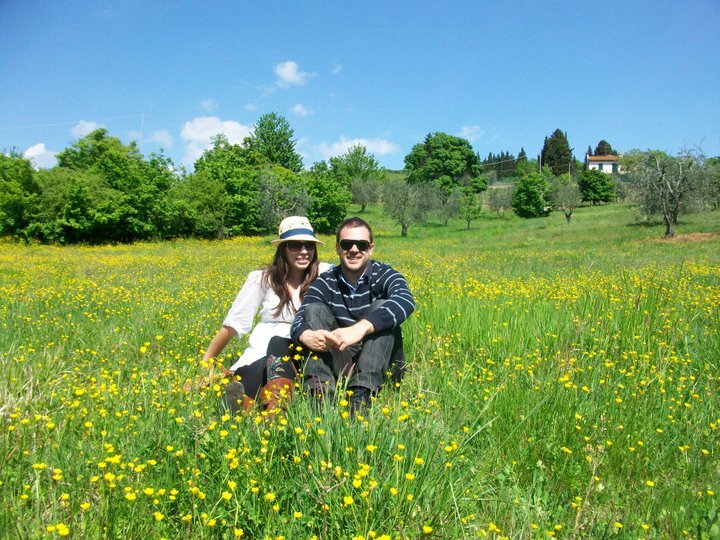 The city of Scandicci has unveiled a garden of close to 200,000 tulips (around 70 different species) in the Castello dell’Acciaiolo park (via Pantin 63, Scandicci, Florence) which anyone can visit for the month of April. Visitors can wander the park and pic the tulips and it is dog-friendly. I cannot wait to see this in person myself. Open 10am to 7pm, minimum contribution of 3 euro. Enjoy a life drawing session on April 6th together with a unique art aperitivo and a dynamic Burlesque performer in the historical Caffè Giubbe Rosse. Bring your own drawing instruments and paper. Please RSVP by: email: artcultflorence@gmail.com or whatsapp : +39 380 388 1234. 20€, aperitivo included. For residents of Florence, the first “free” Sunday of the month offering free openings to civic museums has been moved to the 8th of April. 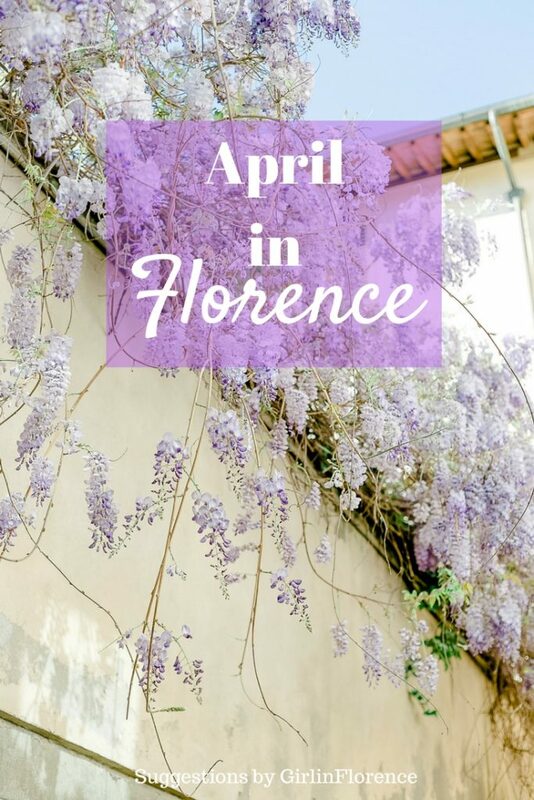 Of course people will want to visit the Giardino Bardini (address: Costa S. Giorgio, 2 – open until 6:30pm) with its full bloom of wisteria offering a purple filter of the panorama of Florence. Market lovers should head to Piazza SS. Annunziata for the fierucola dei legnaioli (open market dedicated to wood-workers) open until sundown (April 7th and 8th). This Saturday, Storytellers in Florence is back with this month’s theme “escape” and I think it is absolutely brilliant. As per usual it will take place at independent bookshop cafe Todo Modo (Via dei Fossi) starting at 7pm and ending at 9pm. You are more than welcome to just come and watch people share their stories. If you have a story to share based on this theme, be sure to contact Linda on Facebook or by email at linda@the-beehive.com. After a raving success in Milan, Italian supermarket chain Esselunga is unveiling a “SuperMostra” in Florence (open daily 10-7pm until April 21st) to continue celebrating 60 years of Esselunga’s history in one exhibit open to the public at Stazione Leopolda. Halfway between a fairy tale and a trip to an amusement park, visitors will be able to relive 6 years of Italian life in one engaging and extraordinary experience. Keep an eye out for a contest giving away a golden cart worth 25,000 euros and 60 vouchers of 2,000 euros each, with a total prize money of 145,000 euros because who doesn’t need extra money for food? The Stibbert Museum hardly gets enough love from the visiting public but it remains (at least to me) one of the more interesting museums in Florence with its incredibly vast collection of armor and tapestries collected by one passionate person. To give you even more of a reason to visit, this month they have an exhibit showcasing the “art of the banquet” aimed at showing table decorating over time: from the Renaissance up to the nineteenth century through lively reconstructions of the equipment of the past. More info on museum hours and tariffs here. One of my favorite film festivals is back “Middle East Now” from April 10th to the 15th and the 2018 edition reveals, through an unusual observation lens, the contemporary Middle East, with its theme this year, #MiddleEast. The festival wants to shift the attention, for the first time, on the storytelling that millions of individuals – from the Palestinian mother to the jihad fighter, from the professionals of the great urban realities to the young people curious about new life experiences and how social media has played into everything. Locations: Cinema la Campagnia and Cinema Stensen. Official hashtags are #WeLoveMiddleEast #MENow9. Below are a list of special events tied to the festival and you can find the full list here. There will be a March for Science on April 14th, Hosted by Women’s March Florence, Italy and Democrats Abroad Italy from 2:30-5pm to encourage those to hold their elected and appointed officials responsible for enacting equitable evidence-based policies that serve all communities and science for the common good. 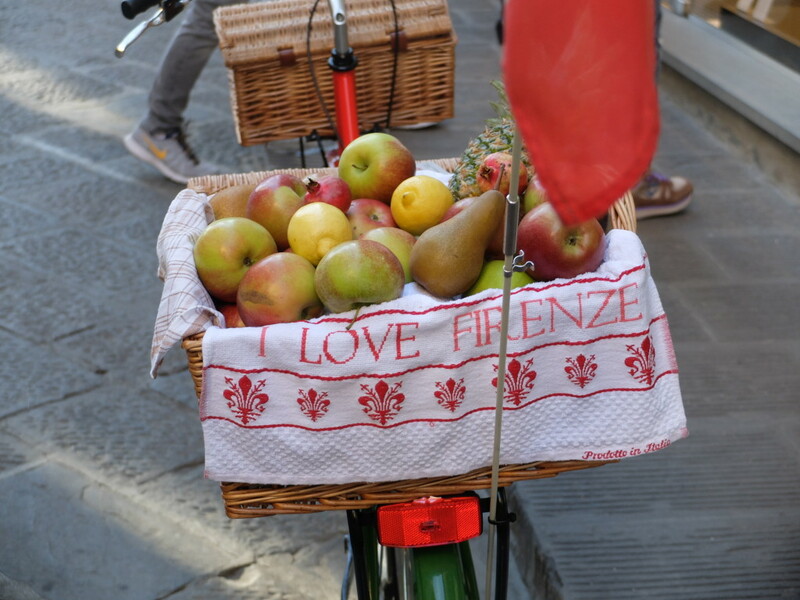 A second edition of market fun will be at Piazza Santo Spirito for the fierucola di Pasqua (organic market) open from 9am until sundown (April 15th). I’m exciting for Shakespeare week held at the British Institute from April 16th to the 20th, where they will celebrate the great William Shakespeare (this year’s theme is Measure for Measure 1603) with a week of cultural events open to all members of the Harold Acton Library, existing and new. Keep in mind that you can join for a 24 hour membership (6€) or sign up for a longer membership, the full details can be found here and here. Palazzo Strozzi, Florence’s foremost temporary gallery space in the center of the city, is launching its next exhibit “Dawn of a Nation: From Guttuso to Fontana and Schifano” from March 16th until July. From the Strozzi website: “a truly mesmerising exploration of art, politics and society in Italy from the 1950s to the protest years in the late ’60s, with eighty works of art by such masters as Renato Guttuso, Lucio Fontana, Alberto Burri, Emilio Vedova, Piero Manzoni, Mario Schifano, Mario Merz and Michelangelo Pistoletto. The exhibition, curated by Luca Massimo Barbero, is bringing emblematic works of art together for the first time to form a display illustrating the effervescence of Italian culture after World War II, the years of the so-called “economic miracle” that marked a major transformation in Italian society, up until the fateful year of 1968.” Open 10.8pm, late opening until 11pm on Thursdays. Don’t miss a visit to Villa Bardini for their latest exhibit showcasing “From Pinocchio to Harry Potter, 155 years of Italian illustration from the Salani Archives since 1862″ until June 3rd. The exhibition collects 300 documents of various kinds (1964-2012) of the historic Florentine publishing house whose popularity exploded after releasing Harry Potter e la Pietra Filosofale, the Italian edition of J.K. Rowling’s first book in the Harry Potter series. April 12th and 14th: Our Syria, recipes from home: “two authors met Syrian women in the Middle East and in Europe, spending months cooking with them, learning their recipes, listening to their stories, maintaining a strong culinary identity.” There will be one cooking lesson (Saturday 14 April, Culinary Arts School Cordon Bleu), the presentation of the book (Cinema La Compagnia, Thursday 12 April), and they will be hosting an aperitivo “The dishes of Syrian cuisine at home” (Cinema La Compagnia, Thursday 12 April). 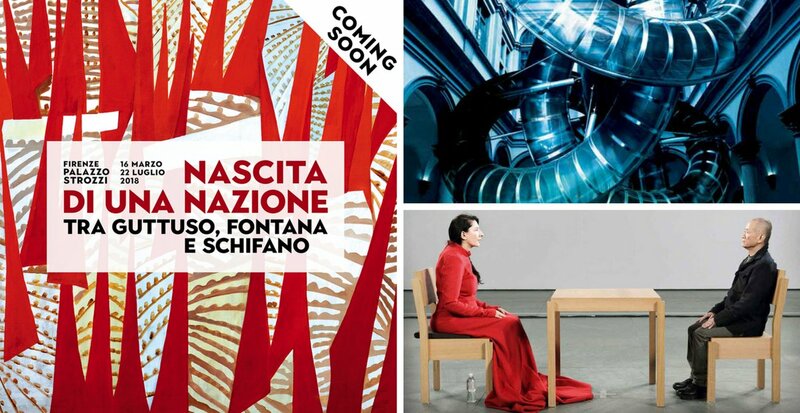 April 12th to May 31st, a photography exhibit at Fondazione Studio Marangoni – Via San Zanobi, 32r. “The People’s Salon is a celebration of the creative talent of hairdressers and barbers in Beirut, Gaza and Ramallah, with shots in which the photographers captures the expression of male vanity.” To hear from the photographer, there will be a talk at 6:30pm at the Fondazione on April 12th, opening day. April 14th from 10:30pm there will be a Middle East Now Party at BUH!, il Circolo Culturale Urbano (via Panciatichi 16)with a DJ Set by Saeed Aman, an Iranian DJ and producer, one of the founders of the BowLand band and after, another set by HABIBI FUNK. An Eclectic Selection of Music from The Arab World. The 35th half marathon includes a ‘mere’ 21 kilometers (and some change) will take place this year on April 15th. The good news is that there is something for everyone. Participants can also choose to do a 5km walk or 10 km non-competitive race (which is still open for registration). My favorite part about this is the kids race “Tommasino Run” which lasts 1,5 km (which is the one that I would be most appropriate for). The race will take place mainly in the historical center, sign up for one of the races here. For those who love antique wear, there will be a vintage market immersing everyone in the 60’s and 70’s on April 15th at the Pillole Di Parole. from 10:30-8pm on Via San Gallo. April 7th: Spring has finally arrived, and it’s time to get back in shape, ready for summer! On this special day you can try facials or body treatments at a promotional price of 30 euros for a 45-minute treatment, 50 if you want to book both face and body, or you can book a free consultation to find out about relax Firenze Bio cosmetics. AMAZING. Join a session of “Yogilates” several times a week until the end of May at Relax Firenze and combine the best of yoga and pilates. Open week at Villa La Pietra and Gardens in Florence takes place this April 16-21st (10-6pm), Open Week tours include an introduction to the art collection of the Acton family and the history of the Villa. This edition includes access to the very interesting exhibition that is currently on display at Villa Sassetti: The Olivetti Idiom (1952 – 1979). To RSVP your visit: email villa.lapietra@nyu.edu. I never thought I would see the day when there was an actual slide in the courtyard of Palazzo Strozzi but indeed that day has come. Science meets nature in one cool project called The Florence Experiment, a new site-specific project devised by celebrated German artist Carsten Holler and plant neurobiologist Stefano Mancuso, that kicks off on Thursday, April 19th. More info on how you can hurl yourself down a terrifying slide while holding a plant can be found here. Yep, the gelato festival is coming back to town the week of the 20-22nd and I am as excited as ever to dig into the latest artisanal favorites from some of the top gelaterie in the city. 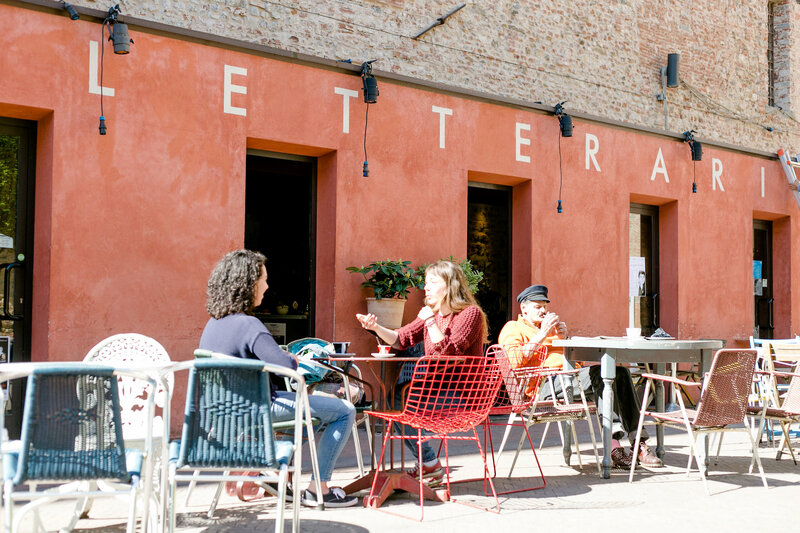 Plus the walk up to the piazzale means that you can deserve a second, third or fourth cup, right? One tasting plus art! This sounds like a lot of fun. Vinovation and its team are more than happy to introduce another event from the series ‘WineArt’ – wine painting workshop accompanied with 3 wine tastings and an aperitivo on Saturday, April 21st. The wine painting workshop will be with Maham Iftikhar an artist whose wine and coffee workshops are becoming so popular in Florence. The total cost of the workshop + aperitivo + tasting: 30€. Indian haute cuisine comes to the Belmond Villa San Michele from April 20-24th, visiting Chef Nayana Nanjee from Mumbai will be cooking for local gourmands with key dishes of contemporary Indian cuisine.There will be two tasting menus (one for vegetarians) and an à la carte menu, featuring signature dishes such as Paneer Makhani Kadhai (Indian cheese in a creamy tomato sauce and onions enriched with spices), Murgh Makhani (chicken tikka in tomato cream infused with kasoori methi) and Dal Makhni (simmered black lentils with tomato and spices). For information and reservations: call +39 055-5678200. Tasting menu starting from €70. 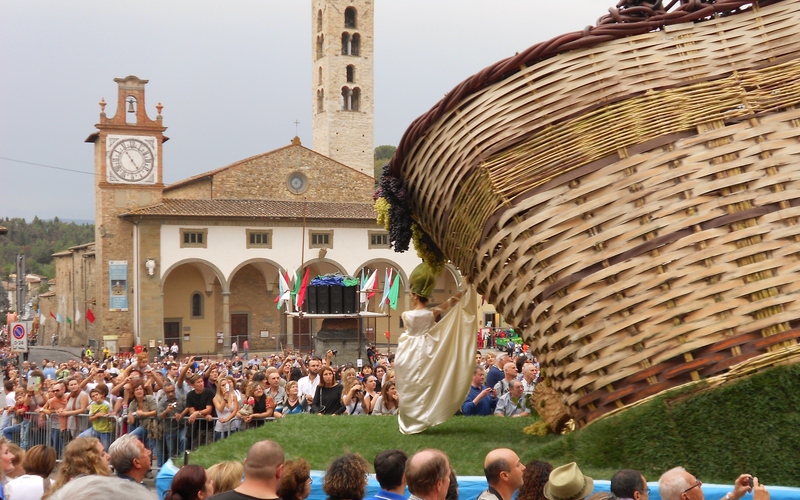 One of Europe’s biggest arts & crafts fair is coming back to town with the annual Mostra dell’artgianato April 21st to May 1st, this fair has been running since 1931 and is such fun, I look forward to it every year. Vietnam will be the country guest of honor 2018 for 82nd edition of the International Crafts Show. My advice is to avoid the weekend crowds and go during the weekdays so you can browse goods from all over the world to yourself. Where? Fortezza da Basso (Viale Strozzi, near station). Official website. Festa della Liberazione is every April 25th, a national holiday, an important day that marks the fall of Mussolini’s Italian Social Republic and the end of the Nazi occupation in Italy in 1945. During WWII there were plenty of resistance factions around the country that sacrificed their lives to give Italy liberty which is why my thoughts are with them during this special day. Typically there are marching bands and parades on this holiday so businesses to be closed (not related to tourism). In Florence, around 5pm, there will an orchestra and ceremony in piazza della signoria. For the April 25th holidays one fun annual activity is a visit to the ‘Mostra dei Fiori’ at the Giardino dell’Orticoltura, April 23- May 1st, 10-7:30pm. This is always an institution for the May first ‘Ponte’ weekend and is essentially a beautiful flower show held annually at the horticulture garden close to piazza della liberta. They always have a wide range of plant species (over 60 sellers will be present) to gawk at and buy, such as giant basil or carnivorous plants (seriously). 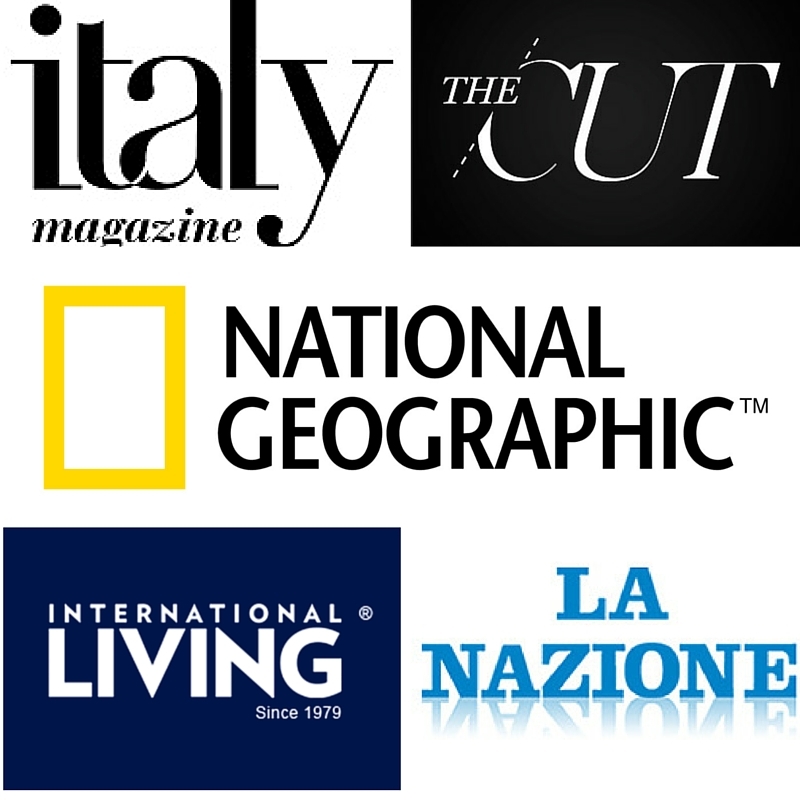 address: Via Vittorio Emanuele II, 17, 50139 Firenze. Also keep an eye out for the opening of the Iris Garden at Piazzale Michelangelo. This botanical garden is famous for its wide variety of Irish flowers (also the symbol of Florence) open from 10 a.m. to 12:30 p.m, 3 p.m. to 7 p.m. The perfect bad weather (or good weather, let’s be honest) activity is a trip to the trusty cinema, in my case our beloved original-language theater Odeon which is back on track with a superb list of options including a special screening of “I TONYA” on April 3rd aka today ( 16.30 – 18.45 – 21) al Cinema Odeon Firenze in its original language with Italian subtitles and on April 5th, KARL MARX. I am still waiting for the official April cinema lineup so watch this space for an updated look (hopefully) soon. Price: 8 euros for a normal ticket. 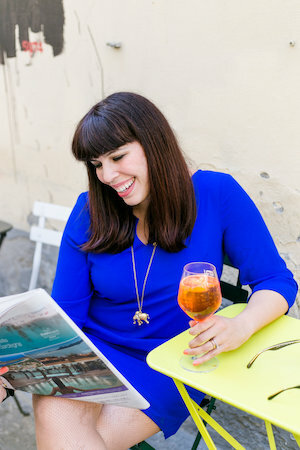 Thanks so much for sharing my story about travel blogging. I was terrified to publish it initially, but the response has been overwhelming so I’m glad that I did! My pleasure Adam, and someone a hell of a lot wiser than myself once told me, “it’s the posts you’re most scared to publish that people enjoy the most.” I wish we could meet for a coffee and chat about this as I have so many similar feelings as you do about the industry as a whole. I hope everything is going great in NYC! Another great post full of information – thanks so much! The Sidecar tours sound especially interesting – may look into one for my trip next month. Thank you Rae! The sidecar tour was an absolute highlight for my friend and myself, I could not recommend it more because the winery we visited also was such a fine choice. for two weeks. If you have time and the inclination, would you please post some information about May activities before the 1st? Mille grazie. Thank you Elizabeth, I’ll try and get the May post up before the first ,the trouble is that so many interesting events aren’t posted online until the very last minute which is why I always do this the first few days, however that might be a different case this next month as May is pretty packed… stay in touch! Oh, I completely understand. I will hopefully have a way to check emails in Florence too. Also, I remember reading your article about “How to dress in Italy/Florence.” Are women wearing jeans very much,? I do not recall you mentioning that. I love jeans and wish to bring a pair. Any thoughts? They do wear jeans, absolutely, and perhaps this is the best season because it isn’t too hot nor too cold. Yay! Good to hear. Thank you, Georgette. My pleasure Mallory, I’m really excited about all there is to look forward to this month. I appreciate you taking the time to comment. Thanks for the suggestions! I’m excited about coming to Florence again this weekend. This time we’re coming for the Klimahaus fair, but hope to also have some time to explore a little more and eat some delicious things that we just don’t get here in Emilia Romagna. Have a wonderful time Sabrina and let me know how it goes!